The latest feature added to the popular Morpholio Trace Pro application for iPad and iPhone that we covered last year (Everyone Can Sketch Using Morpholio Trace and Augmented Reality, The Architechnologist, September 27, 2017). The new “Smart Fill” tool provides precise area calculations and color fill to be added in real time as sketches evolve. The expanded suite of unique Trace tools changes the accuracy of sketches in a way that puts creativity first and encourages the designer (professional or amateur) to think through drawing. The new feature is a fill tool that not only calculates the area of the fill, it actually changes as the sketch evolves. Slice a room in half and watch it reduce or, erase a wall and watch it expand. Using “Smart Fill” is as simple as starting a sketch (from scratch or over an existing drawing or image) and setting the scale. Placing the “Smart Fill” target on the drawing will immediately add a filled area note that updates as the drawing changes. Adding additional regions will keep a running tab of all regions and create a chart of areas that can be copied or dragged directly to Excel, Sheets, Notes or any other format. New “Smart Fill” feature for the Morpholio Trace app is super smart. 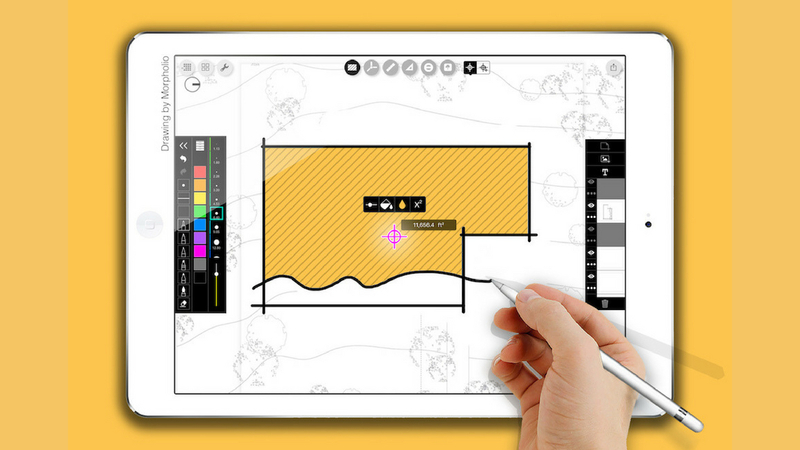 The expanded tool set in Morpholio Trace will allow homeowners and contractors to calculate areas for floor plans, garden designs or wall areas (so they know how much paint to buy). Diagrams showing green area or site coverage for site plans can be easily created and the intelligent data will update as the illustration changes. Similarly, large scale city or site studies can include calculations for building areas, roads, parks, etc. when the Trace application is paired with the “Maps” tool to bring in a scaled map of nearly any site in the world. Of course, the “Smart Fill” feature can also be used as a graphic tool as well, instantly filling any region of a sketch with color. The only reason we draw is to communicate ideas. Anything that gets in the way of this communication weakens the whole process. 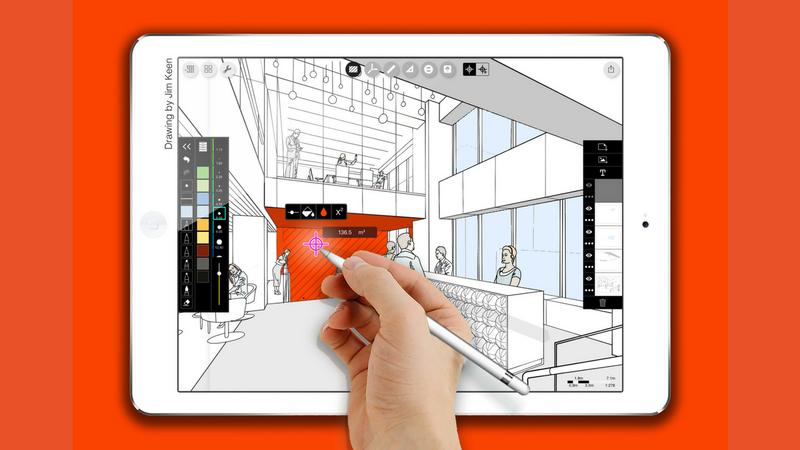 Direct, clear line hand drawings remain the best way to communicate visually and Morpholio Trace is the best app out there for architects to get across their ideas fast and beautifully. New “Smart Fill” feature makes for great images too.